I lived in London from 2003-2007 and while I was there I was fortunate enough to work for some amazing brands that inspired me to immerse myself in the world of niche perfume. I worked for Floris, Penhaligon's and Miller Harris and I looked after all of the independent perfumeries in the UK and amazing department stores such as Liberty, Fortnum and Mason, Harvey Nichols and Selfridges. My whole world was perfume and I loved every minute of it! 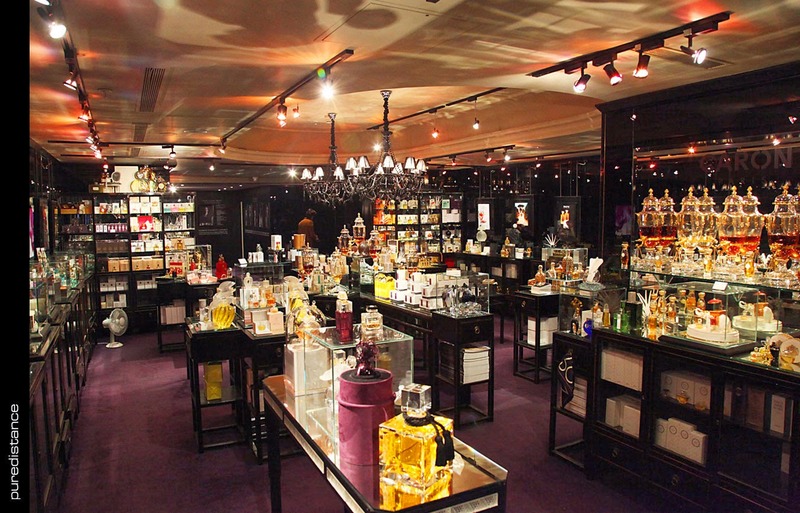 London has some beautiful perfume stores, so if you are traveling there, here is a list of the must visit perfumeries. Keep checking back in as there are a few more I need to add. Well, I am a little biased about this particular brand, and think the store is beautiful. If you stand right out the front of the store, you will literally be standing on what was my office. The store itself has changed a lot since my day but the perfumes are still gorgeous. Noix de Tubereuse remains my go to fragrance to seduce, Feuilles de Tabac makes every man smell so good you want to nuzzle his neck, and Figue Amere is an interesting take on the overdone fig fragrance. 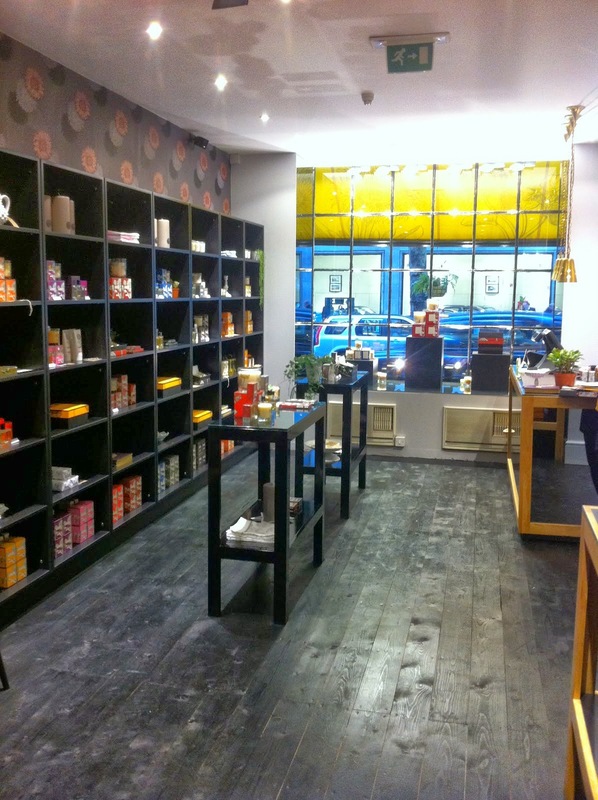 Try the teas and olive oils while you are there. A tiny boutique tucked in an arcade of Old Bond St, Ormond Jayne is a dramatic little store. For one such as I who has a slight penchant for all things black and shiny, Linda Pilkington's store is like a fragrant cocoon.The Discovery set is a great way to experience all of the fragrances, but the one which stands out in my mind is Osmanthus, an intense floral with the lightness of citrus in the top notes. 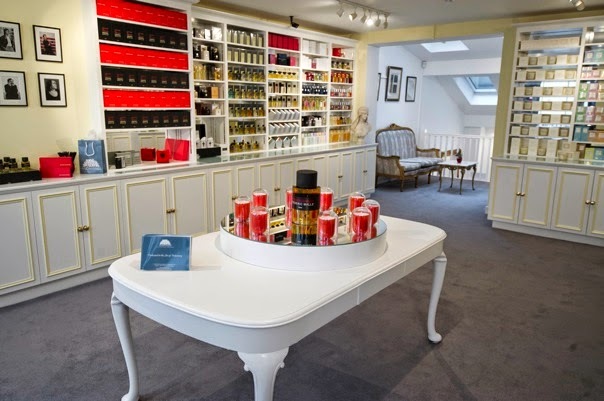 The orginal home of artisan perfume in London, Les Senteurs is the doyenne of perfume stores. Stately and elegant, it was the very first independent perfume store and has the introduced Londoners to Creed, Frederick Malle, Mona d'Orio. Roja is known as the Professeur de Parfum for a reason. His knowledge of fragrance is impressive after working with Guerlain for many years. He has used his knowledge and skill to curate a beautiful selection of perfume from around the world, including hard to find classics. The Caron fragrance foundations are quite simply, stunning and I covet one for my office. My very first job in artisan perfume was working for Floris. I was the account manager for Liberty and I was just blown away by the history of the brand when I was given the opportunity to see their archives. Letters from famous people are displayed next to royal warrants, Admiral Nelson would write to Floris and ask them to send his mistress a bottle of her favourite perfume so she wouldnt forget him when he was off adventuring! Floris is the oldest perfume house in the world and the store is still in it's original location. The company is now owned by the eight generation and they opened a manufacturing plant in Devon that makes most of the perfume and scented products for English brands. Cassy Small, a freelance journalist contacted me recently asking me for a few sentences about perfume for her New Year Beauty Resolutions article for Life & Style in the Sydney Morning Herald. I chose to focus on perfume in everyday life as I believe perfume is the final accessory for any outfit and care should be taken when choosing something you wear everyday. Thanks Cassy!